Let's begin this post with an uneventful personal anecdote. T'was back in 2013, when Phoenix had just released one of my favorite albums of all time, Bankrupt!, and I realized they were coming to Colombia to perform at a music festival called Estéreo Picnic. I was ecstatic: one of my favorite bands was actually coming to Colombia! That is a rare occurrence, lemme tell ya. Long story short, I was very much a minor in 2013 and, thus, could not actually go to the music festival. Rumor has it, I still have never attended a music festival. This app is actually so cool, it makes shopping and browsing for looks so easy. My account name is "immariav" (of course), check out my profile! 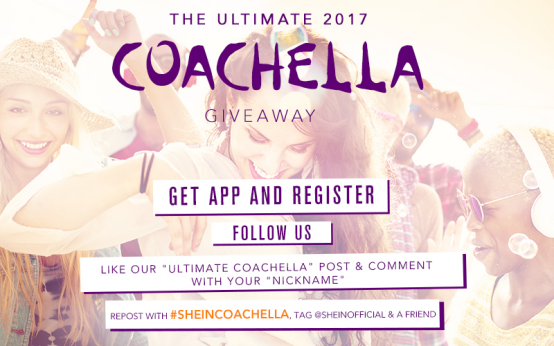 The winner will be randomly selected and announced during SHEIN LIVE on March 30th at 6 pm PDT! I hope all of you guys participate! Good luck! All of the photos are taken by me, unless noted otherwise. In that case, I'll link them to the site I found them on. If I used your picture and you want me to take it down please let me know. The banner was created by me.